Ideas can often take on a life of their own; there’s a certain momentum that is difficult to contain once things get rolling. A little over a year ago, we put out a call for proposals to the community for ideas that we could turn into pHacktory projects. While the process didn’t go as well as we had hoped, one conversation about tires turned into a wild journey that ended up being formalized, as all pHacktory projects do, as a new Slack channel — Project: Saturn Wheel. 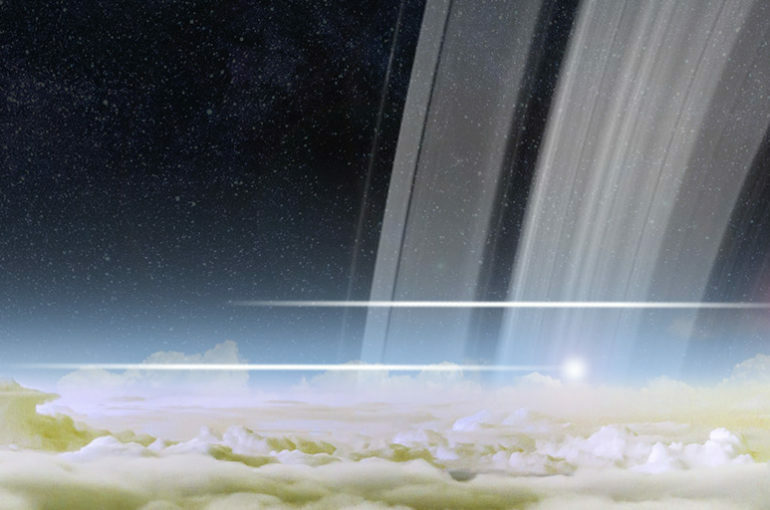 How would transportation on Saturn work? Not transportation to Saturn — we understand that would involve a long nap of some kind, but rather how would a Saturnian commute from her floating condo near the southern pole to her job supervising the hydrogen harvesters processing fuel for deep space flight? Of course, the wheel in this scenario may very well be metaphorical. The core issue Project: Saturn Wheel will seek to solve is to develop a model for a propulsion and navigation system that can be used in a gaseous environment such as the upper atmosphere of the planet Saturn. To tackle this problem, we asked Peter Doan, mechanical engineering and computing technology graduate of the University of Ottawa, and Ahmad Syed, computing Engineering student at Algonquin College, to lead the project wherever it takes them. So, what the point of this? Really, we’re not sure yet. But seeing as how we seem to have transport on solid surfaces pretty much figured out, and Elon is busy digging tunnels, transportation on a gas giant 1.2 billion kilometers from Earth seems like a fun problem to tackle. Over the next 100 days the Project: Saturn Wheel team is going to explore the science, engineering, and astrophysics of how to build a transportation system for the gassy surface of Saturn and see what they come up with. As with all pHacktory projects, the ideas are big and the prospect of failure is high, but that’s why they’re so much fun. We are excited to find out what the Project: Saturn Wheel team comes up with in their quest to solve the great commuter issues of our favourite gas giant (sorry Jupiter). It is entirely possible that at some point in the 100 days they have to change course, or they might even blow a tire, but that’s the risk you take when you go on an intergalactic road trip with pHacktory. Peter Doan, project lead, University of Ottawa. Ahmad Syed, project lead, Algonquin College. Renée Hlozek, mentor, University of Toronto. Erin Kennedy, mentor, Robot Missions. Alvaro Vargas, project manager, pHacktory. Follow us on Twitter, Instagram and Facebook for project updates.